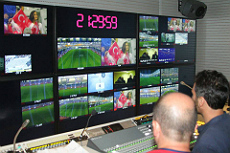 Acta Medya: TV broadcast production in Istanbul. 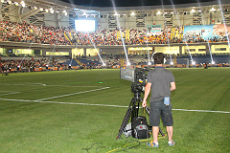 Istanbul, July 2014: ACTA Medya and Media Pro/Media Luso have broadcast the inauguration of the Basaksehir Fatih Terim Stadium in Istanbul which was opened by the prime minister, Recep Tayyip Erdogan. After the inauguration ceremony, Erdogan - who is a former semi-professional footballer - played a friendly match with a group of Turkish celebrities. 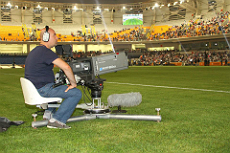 The broadcast production was covered with high-spec cameras that are used in the Champions League Final and World Cup matches such as Skycam, High-Speed Phantom Camera, Super Slow Motion camera, Jimmy Jib and Steadycam. ACTA Medya also coordinated the national and international PR for the event. The opening ceremony and coverage of the match were broadcast live on national TV Channels such as Lig TV, TRT Haber, AHaber, Haber Türk, NTV Spor, TV8, Ülke TV, TRT Spor, TGRT Haber, Beyaz TV and 24 TV. 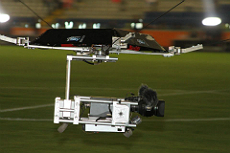 The live signal was also provided to international TV organisations such as AFP, APTN, AA besides IHA, Cihan, DHA. BBC, CNN, ZDF, Al Arabiya, and Al Jazeera. Yahoo and MSN provided an extended summary of the match for internet users. A team of 55 executed the production. CONET News Agency and Medya3A supported the coordination.